Support local and sustainable food systems this National Farmers Market Week. 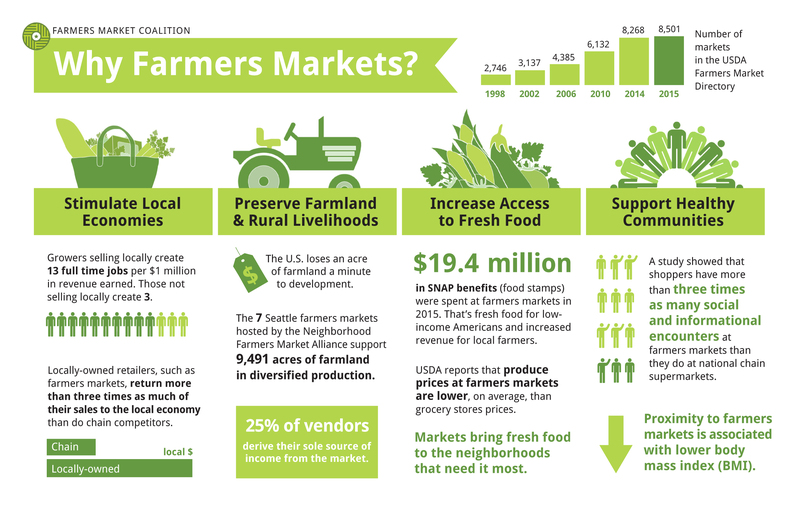 Data and graphic courtesy of the Farmers Market Coalition. The number of farmers markets accepting Supplemental Nutrition Assistance Program (SNAP) benefits has increased 40% on average every year since 2009. With affordable prices and special programs for low-income people, markets are expanding access to fresh, nutritious food. In 2014, over 5,000 markets and farmers accepted SNAP benefits. Some states that help farmers accept SNAP saw a ten-fold increase in the number of markets accepting SNAP between 2009 and 2014. The amount of SNAP benefits redeemed at farmers markets increased nearly 450% from 2009 ($4.2 million) to 2014 ($18.8 million). From 2008-2013, the number of vulnerable seniors visiting the Crescent City Farmers Market increased by 501%. More than 1.5 million WIC participants and 835,795 low-income seniors bought fresh produce directly from farmers in 2013 through the WIC and Senior Farmers Market Nutrition Programs. 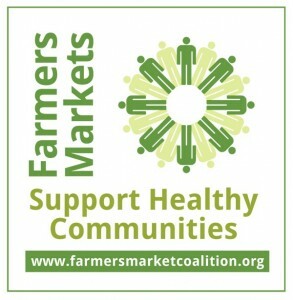 Of 216 shoppers surveyed at the Janesville, Wisconsin Farmers Market in 2012, 98% said they would eat more fruits and vegetables as a result of their SNAP benefits and 30% said that they had not shopped at the market before SNAP benefits were accepted. 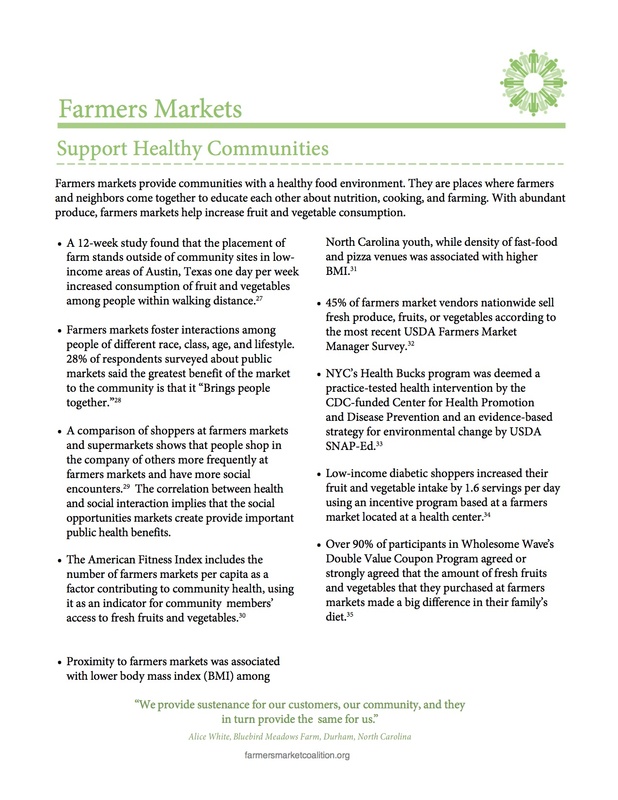 In 2012, New York City farmers markets distributed over $280,000 in Health Bucks, a health incentive coupon, to SNAP participants. Nearly three-quarters of Health Bucks users reported that the coupons made them more likely to buy fresh produce. 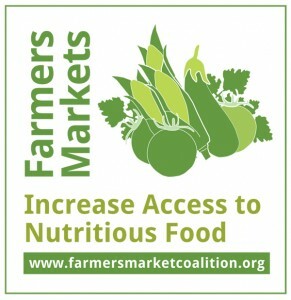 – Visit farmersmarketcoalition.org for the source of the above data.